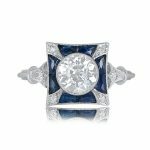 A stunning asscher cut diamond and sapphire ring set in platinum, diamond and sapphire mounting. Center vintage diamond is approximately 1.66ct, K color, VS2 clarity. 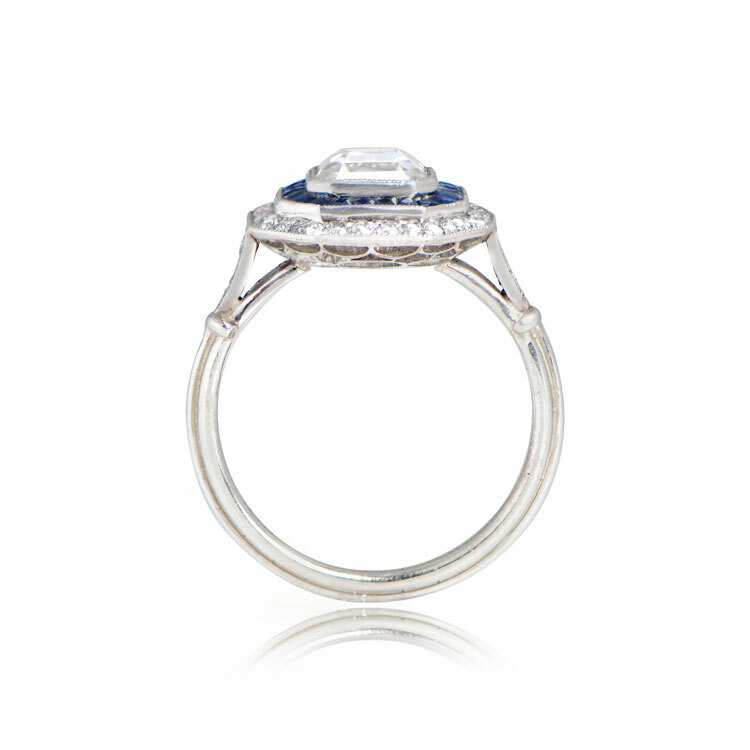 It is surrounded by a bezel of French cut ceylon sapphires and a row of pave set diamonds. 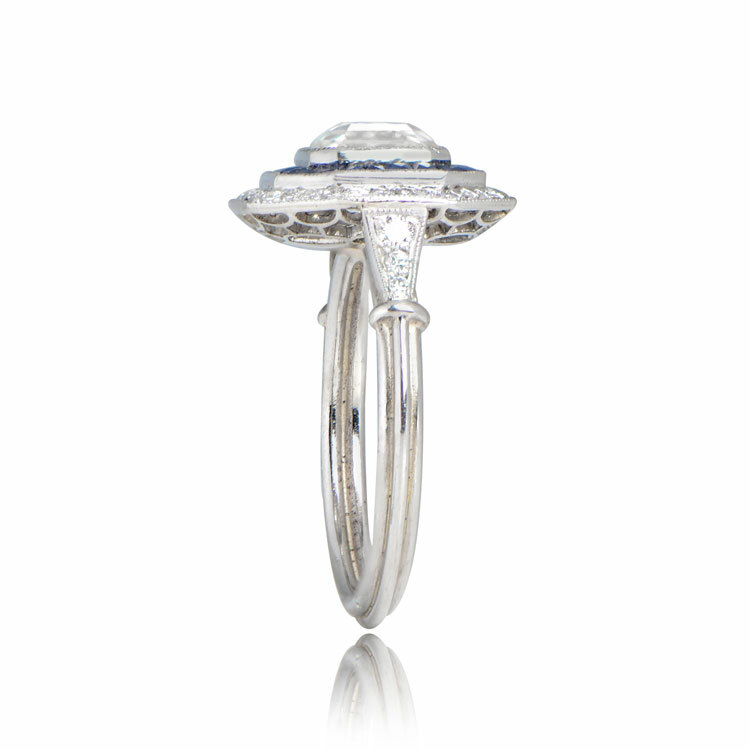 The shank of the platinum ring is a triple wire accented with a diamonds along the shoulders. A total diamond carat weight of approximately 1.96 carats. 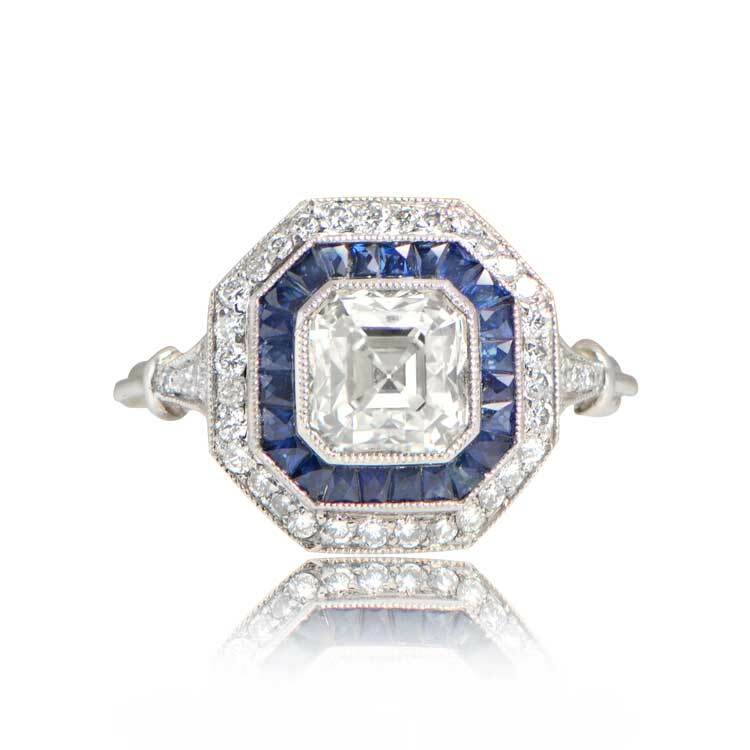 Part of the Estate Diamond Jewelry Asscher Cut Collection. 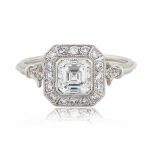 SKU: 12275 Categories: Asscher Cut Engagement Rings, Vintage Engagement Rings - Contact us and request additional pictures.